Being a social purpose company means doing social good for society before maximizing profits, and that makes us quite a different company indeed – one started because our founder and CEO, Todd Weaver, wanted to change the future of technology so his two growing daughters could participate in a digital society that respects them, rather than exploit them. When you’re on social media, use a digital home assistant or chat over a messaging app, store files on the cloud, enter a search term in a browser or visit a website, you’re being tracked – by a market that uses your phone or laptop, operating system and applications to collect as much information about you as possible. Your exploited information is later sold between various companies, and the choice of withholding it is not in your control. At Purism, we provide an alternative so you aren’t forced to give your information to corporations who profit from it. Our products are designed from the hardware on up to respect you and your digital life, they come with physical hardware kill switches for your camera and microphone, with all known hardware backdoors completely neutralized and disabled (Intel Management Engine), running a curated freedom-respecting operating system and software applications, for maximum protection. We put your security at the forefront, and our laptops and smartphones will never invade your privacy. All our software is easily auditable and written by a community who cares about privacy and security, just like we do. Our developers collaborate with many software projects, knowing that working together with like-minded groups we can create a better future. All the source code is public and you can be sure there will be no secret backdoors, no unauthorized information being sent across the Internet, no need to register and be controlled by a company, no licenses to agree to. You don’t pay for using the software, you’re quite welcome to modify it for your needs and it’s freely available – regardless of whether you buy a Purism product or not. We believe all software should be freely accessible and our developers write code that they share, for the betterment of society. We know style matters Purism products are built with a solid anodized black aluminum chassis, and branding only on the underside so you don’t have to advertise for us (unless you want to, of course!). Our desktop environment is beautiful, and using it is a seamless experience with minimal distractions and simple controls. 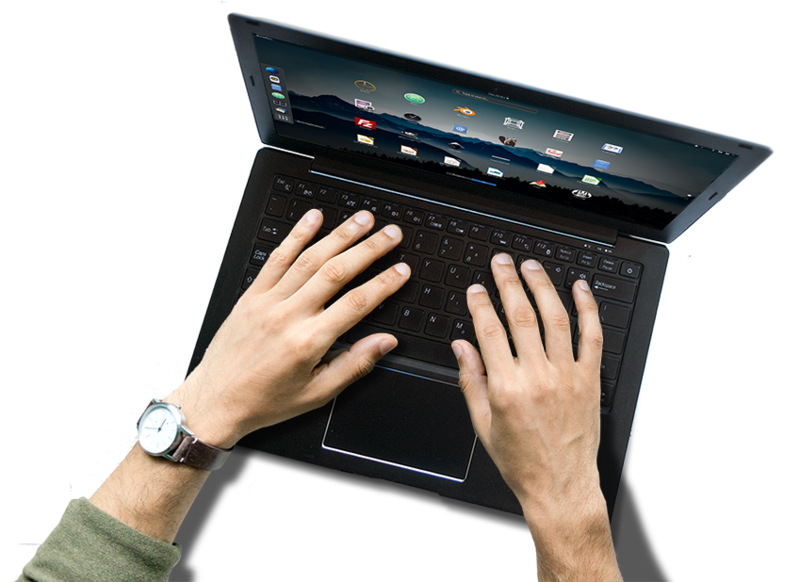 Purism is all about providing convenience in technology – while making sure you retain control of your digital life.